Born at Milford Mills, Ireland on 7 March 1852, son of Alexander Best and Elizabeth Annette Jordan, he came to Canada with his parents at the age of two years. They first settled at Parrsboro, Nova Scotia where his father was a school teacher. He later moved to Chatham, Ontario then to Manitoba, in 1882. Best taught school at Gladstone until 1888, when he was appointed one of the first five Public School Inspectors in Manitoba, based at Manitou. His territory extended from the Canada-US border northward to the CPR main line, which he travelled by horse-drawn carriage (and later by bicycle) between far-flung one-room schoolhouses. 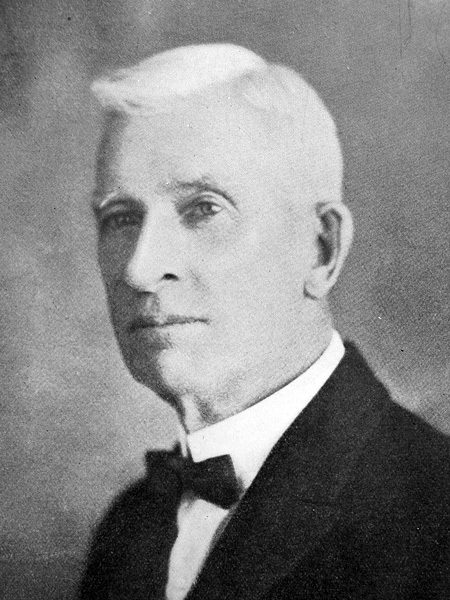 In 1901, he took over the northern inspectorate, based at Winnipeg, and was later appointed inspector for several Winnipeg suburban schools. On 10 July 1879, he married Elizabeth Foxton (1856-?) at Kent, Ontario. They had six children: Ernest Maurice Best (1880-1963), Raymond Percy Best (b 1884), Irene Kathleen Best (1886-1920), Garnet Cecil Best (b 1891), Gladys Muriel Best, and Hazel Marguerite Best (b 1898, wife of Charles McFadyen). He was a founding member of the Manitoba Educational Association, the Schoolmasters’ Club, and the Advisory Board for the Manitoba Department of Education. An avid curler, he was also a member of the Winnipeg Chess Club and Young United Church. He died at his Winnipeg home, 166 Chestnut Street, on 30 November 1935 and was buried in Elmwood Cemetery. He was commemorated by Edward E. Best School No. 2298. His recollections, entitled Memoirs of a School Inspector: Edward E. Best, 1888-1932 was published posthumously by two of his daughters. A small collection of his photographs is held at the Archives of Manitoba. “Veteran educator is dead,” Winnipeg Free Press, 2 December 1935, page 1. “No sadness of farewell,” Winnipeg Free Press, 2 December 1935, page 11.